F.E.W Waterproofing are experienced and knowledgeable contractors offering waterproofing and remediation repairs using quality products with guaranteed long life and durability. We provide tailored solutions for each project by offering a range of high performance products selected as the required solution for each problem. Amongst our arsenal of leading products are materials designed as a moisture barrier in joints and penetrations, systems providing flexible monolithic liquid membranes for both internal and external applications. You can rest assured we are trained and approved applicators for leading concrete waterproofing and repair products. 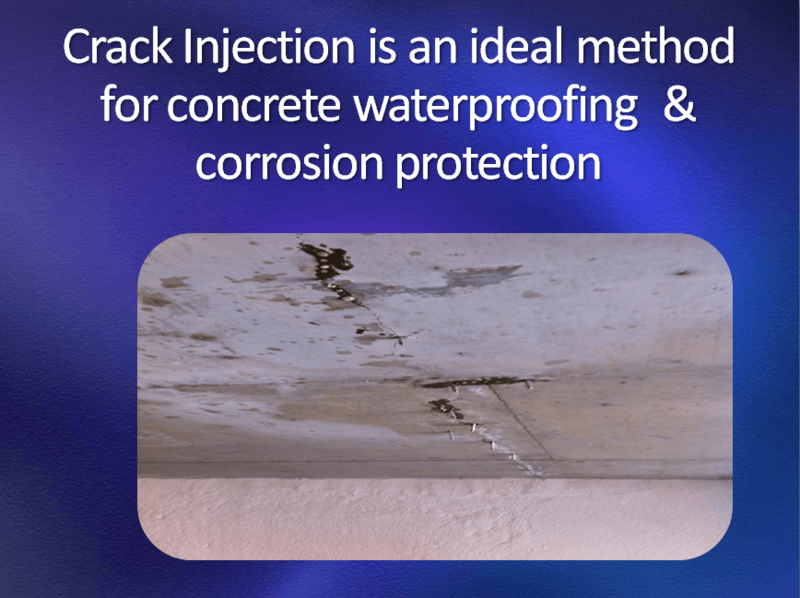 F.E.W Waterproofing offers various solutions to failed & leaking concrete at joins, penetrations and seams but otherwise are intact. Our Team can overcoat these existing surfaces with a spray application of liquid waterproofing coatings that will firmly adhere to the concrete substrate - creating a robust long life surface. Liquid Membranes provide a fully bonded seamless waterproof system over the existing failed surface. 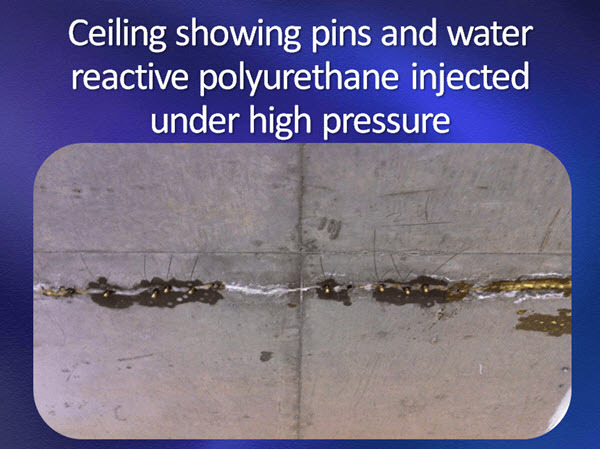 Video: - Damaged concrete flat roof requiring remedial work. Having safe, smooth and non-slippery floors without holes, widening or gaps is an important safety issue. Obviously industrial floors do not have to be as aesthetically pleasing as residential flooring. Factory /Industrial floors need to be safe, clean and professional. Whatever condition your factory/warehouse floor is in, we offer various repair options combined with numerous products to do the job. F.E.W repair concrete floors damaged by equipment, forklifts and machinery. Re-seal Concrete Floor to appropriate specification. 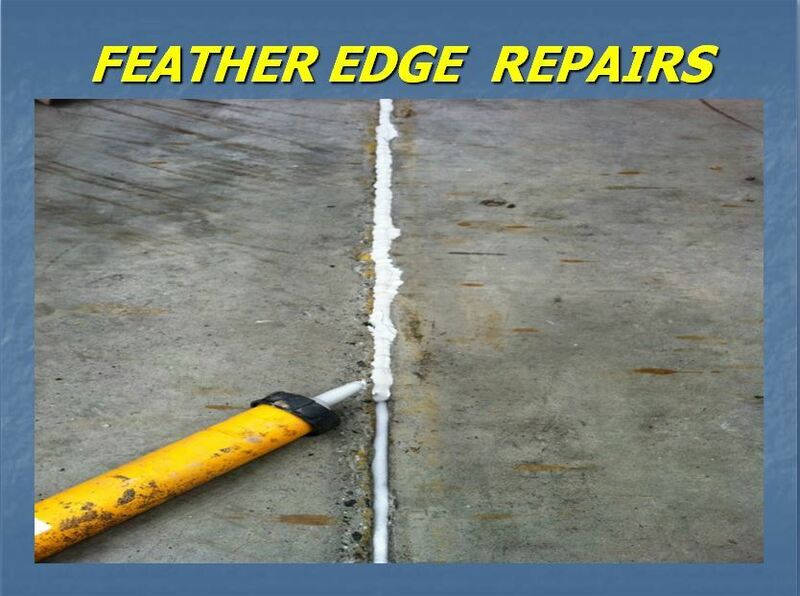 The F.E.W TEAM repair all types of concrete cracks, water leaks and waterproofing building maintenance requirements. We provide sealing, remediation, refurbishment and/or waterproofing solutions for an entire building infrastructure.